*censored for professional purposes*. If you don’t mind a bit of fruity language you can find the inimitable Eddie Izzard talking about a fashion cycle here on YouTube http://www.youtube.com/watch?v=oTnCtcvr384, just watch the first 3 minutes or so. Now, why have I bought this to your attention? Well my brain made the comedic connection when reading this thought-provoking CPD23 post by Sheila Webber. I am a battle-scarred old war-horse of a library worker and this post struck several sonorous chords. I have come across the Conscious Competence Model* before and had even worked it into some information skills training that I helped to write whilst at The OU (Information Skills for Researchers). 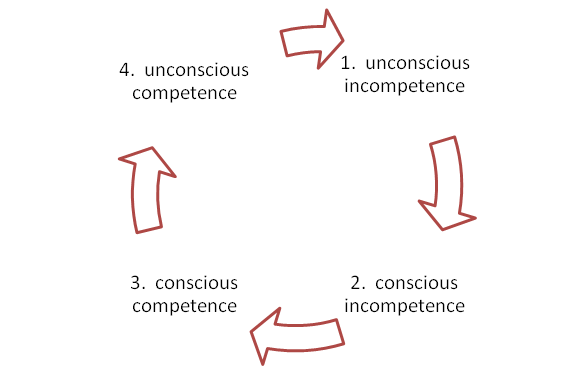 What I had not come across was the idea that I could slide back around into unconscious incompetence (from 4. to 1. in the diagram). Is unconscious incompetence a problem? Well, yes. I don’t know what it is that I don’t know about. And if the thing that I don’t know about could help me in my work, well, then, let’s try at least to find out what it is that I don’t know. Following me? Let’s just say that with regards developing professionally, if I want to ‘own’ and lead my own development (which I do), programmes such as CPD23 provide a perfect framework to find out about Things. 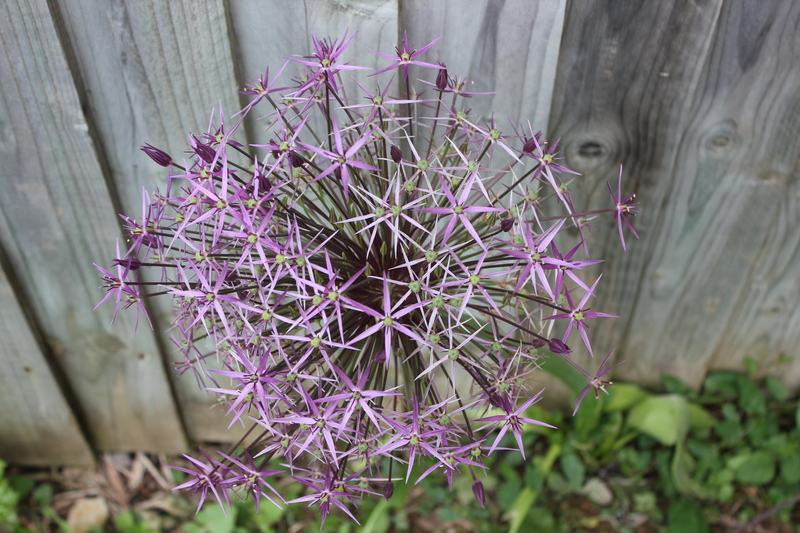 CPD23, Week 8, random image – The Allium. Why? Well I was thinking along the lines of ‘knowing your onions’? Bit cryptic for this late on a Wednesday? *Does anyone know who first proposed the Model? I’d love to be able to credit them. Posted on June 27, 2012 by pennylibrarianPosted in cpd23 - 23 things for professional development, reflectionTagged cpd23 - 23 things for professional development. Next Next post: How did that get there and how did I get here?